Junior high school student Shouyou Hinata gains a sudden love of volleyball after seeing a national championship match on TV. Although short in height, he becomes determined to follow in the footsteps of the championship's star player, nicknamed the "Small Giant", after seeing his plays. He creates a volleyball club and begins practicing by himself. 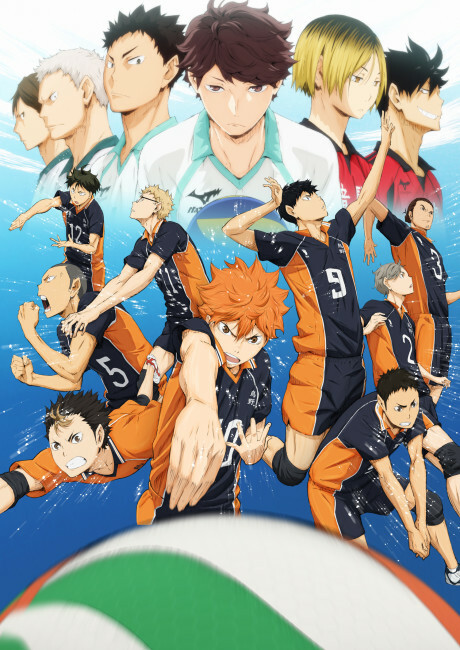 Eventually five other members join the team by his last year of middle school, but they are defeated in their first tournament after being challenged by the championship favorite team, which includes the so-called "King of the Court" Tobio Kageyama, in the first round. Though Hinata's team suffers a miserable defeat, he vows to eventually surpass Kageyama and defeat him.